I'm old enough enough to remember when the idea of using off-brand lenses on a Nikon camera was considered anathema to photographer. Technology improves over time, and today many of the same companies are making auxiliary lenses to very high quality standards. Not too long ago Sigma introduced its Art series of lenses as a high build quality but less expensive alternative for the top camera brand cameras. I have had the Sigma 35mm f/1.4 in Nikon mount ever since it came out and use it all the time with great success. You can read my hands-on review comparing it to the Nikon version here. 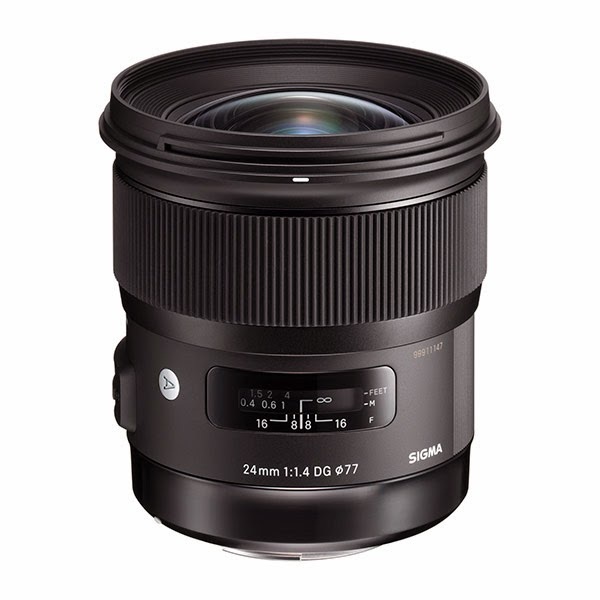 Sigma has announced its latest addition to the Art line, the Sigma 24mm f/1.4 lens DG HSM. The initial reports and information on this lens make it seem like a real contender in this wide angle category, especially considering its low price of $849. 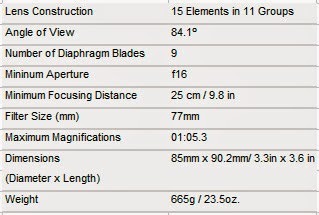 That is almost half the cost of the Nikon version of the equivalent lens. This lens takes advantage of the Sigma USB docking mount for connecting the lens to a computer to update the firmware. I already found this device to come in handy to update my 35mm Sigma lens to be compatible with the new Nikon D750 and D810 cameras. Read my blog post on updating Sigma lenses with the USB dock here. 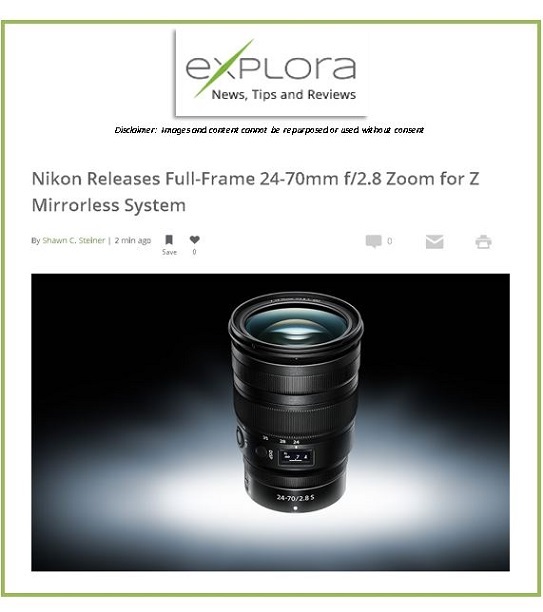 I will be doing a full hands-on blog review of this lens once it is available. 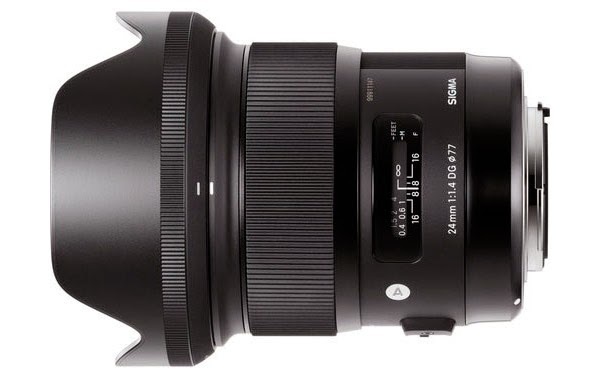 The Sigma 24 f/1.4 lens is available on March 20th for Canon mount, April 20th for Nikon mount, and Availability for the Nikon version of this lens is expected to be April 20th, Canon version on March 20th. 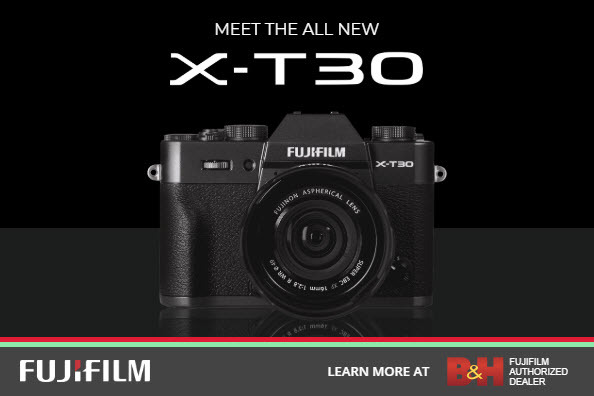 If you are planning on buying this lens, you can help support this site at no extra cost to you by clicking the link and pre-ordering it from one of our affiliate sellers listed below -- and thanks for your support.